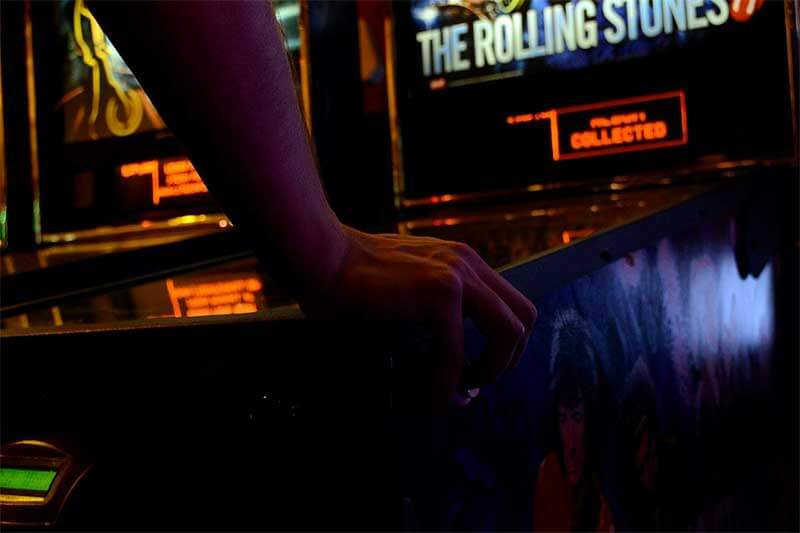 If you make your way into any bar, arcade, recreation room or any other major gathering place in the United States, chances are you will see your fair share of pinball machines—and many people playing them. The game or sport of pinball, a trend that exploded in the early to mid 1980s, is making a grand resurgence in the country today, and each month a new pinball competition is being formed around the globe, including in some of America’s largest cities. According to the International Flipper Pinball Association, which keeps track of pinball tournaments around the world, there has been a tenfold increase in the number of such tournaments between the years 2009 and 2019. Moreover, attendance at these events has also skyrocketed, going from roughly 12,500 players in 2009 to more than 115, 000 players last year. This is not just an American phenomenon either, as the popularity of pinball has spread like wildfire in other countries, especially in Australia, which is experiencing a pinball boom at present. So why is there such renewed interest in pinball? Maybe it’s our smart phones, tablets and other technology that are driving people to seek out a more tangible way to get their gaming entertainment, but nobody can be sure. However, there can be no doubt that pinball is back and going strong. If you enjoy the game of pinball and have a desire to get better at the game, there has never been a better time to hone your skills. To help you do this, below we have outlined and explained a variety of pinball tips, tricks and strategies—tips from professional players who regularly compete around the world for cash and prizes. What’s the Secret for Pinball Greatness? So just how does one go about achieving pinball greatness? Sadly, there is no magic trick for achieving this type of superiority, but there are some things you can do to vastly improve your game and begin your rise up the pinball ladder. These are the tips we will talk about in the article below. If you want to be competitive in the game of pinball you will actually have to compete in actual matches. Practice is all fine and good, but until you actually experience the adrenaline that comes with real competition you will never know how you will actually handle it. Being able to handle the pressure of the moment is what makes good pinball players into great pinball players. People can play for years at their local arcade and break every high score record on every machine, but until they actually feel the heat of the moment they have no idea how they will react to it. Of course, you may lose your first three or four tournaments very badly, but the experience you will gain while playing in these competitive environments will augment your skills exponentially. Competing regularly against people that are better than you will definitely pay off in the long run. In fact, you will gain more insight about pinball after playing just a few games against a superior player than you would from hours upon hours of self practice. Playing and competing against others will demonstrate for you new tactics or creative takes on some of the things that you once thought could only be performed in one particular manner. And by doing this, you can then process this new information and roll it into your own skill set. In every game of pinball you have to make decisions—quick decisions on the fly with only a split second to make them. Sometimes you will guess right and sometimes you will guess wrong, but you will have to make a decision nonetheless. Given that, how is it that the really good, even professional players seem to always guess right—at least 90 percent of the time? For that, you will need to go back to our first tip—by competing. The great pinball players have played hundreds and thousands of games in a competitive atmosphere, learning each pinball machine like the back of their hands. Thus, if you want to improve your decision making ability during a game of pinball it can really pay off if you spend some time watching other players who have mastered the game. Even if you do not have the time to consistently drive to tournaments and watch the best players in action, you can still pull up video feeds on the Internet to look for new skills and improve your decision making ability. Up to now we have talked specifically about playing competitively in tournaments and watching other players do their thing in those competitive environments, but what about training outside of these competitions on your own? Is this also important in your quest to improve? The answer, of course, is a resounding yes. Whether you possess your own pinball machine at home or are forced to pay-and-play at a bar or arcade, practice is definitely a crucial component for mastering the game of pinball. This practice, however, does not always mean shooting for the high score while using the same old techniques you have developed over time. It also means just getting comfortable with the flippers and the game itself. Once you have gained a comfort level with the pinball machine, you can begin to hone the various shots and techniques involved in the game. For example, start with practicing some of the fundamentals or basics of pinball, such as the bounce pass, cradle, post pass and nudging. Your game will improve radically once you learn how to consistently control the ball. Moreover, after you have mastered these basic fundamentals you’ll be prepared to move on to more advanced techniques, including precision shooting. Another good practice technique, which is designed to improve your aiming skills, is shooting the same predetermined shot repeatedly. Simply pick out a ramp or target within the pinball game and try to consistently hit that target over and over, say ten times in a row. Once you have succeeded with this target, pick out another one and repeat the process. For variety, you can also mix it up by choosing five to ten different targets in a game, and shooting them one by one in a pre-decided order, just like you would at a golf course. By practicing these shooting drills not only will you improve your aim tremendously, you’ll also be given an opportunity to work on your ball control. Some of the best players practice and train intelligently by setting up scenarios in their practice rounds that they might face in competition. For example, you can pretend that the ball you’re playing is actually ball #3, after having a bad ball 1 and 2, and try to achieve a predetermined score with that last ball. One of the differences between good and great players is that good players tend to give up after two bad balls in a row, while great players see this as a challenge to rise to new heights. Last but not least, one of the most important tips to keep in mind is that pinball is supposed to be fun; it’s a game! There are many players who will seemingly lose their mind when things are not going their way, but this negative emotion only exacerbates things and creates further problems. Always approach pinball as the game it is, and don’t get too caught up on breaking some high score. The fact is: the more calm and relaxed you are the better your odds of actually succeeding in the game.